Why wasn’t Anjem Choudary charged with Treason? I must sentence you on the basis that any link between your words and the actions of others is an indirect one, and that your offences are therefore not the most serious example of their kind. Given the timing of your communications, your high standing, the size of the audience to which you were addressing your lectures, and the likelihood that those audiences would include impressionable persons who would be influenced by what you said, the indirect link is nonetheless a serious one. The Judge also stated it was likely Mr. Choudary would continue to spread his message but drew our attention to the fact that Section 12 cannot allow an indeterminate sentence. As a result, Mr. Choudary is being released on licence halfway through his sentence. He can be recalled to serve the rest of his sentence but people are asking why he was not charged with Treason in the first place as well as the Section 12 offence. Not so easy to follow, is it? In summary it means you are only guilty of High Treason if you plan the death of the King or his wife or his elder son, violate the King’s daughter, etc. or levy war against the King or help the King’s enemies. 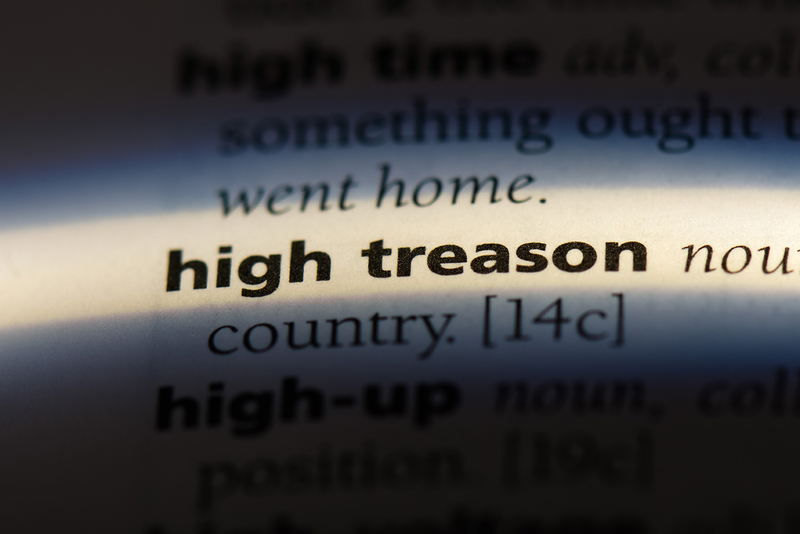 As I’m sure you’ll agree, this definition is fairly archaic, and perhaps not broad enough, but the Law Commission says there are suitable offences within the statute books and they have no current plans to update Treason Law. However, as political commentators are rightly pointing out, it is the only act on the statute book which recognises the betrayal of our country as an offence. The offence used to be punishable by being hanged, drawn and quartered, but since 1998 it only attracts life imprisonment. The law is still applicable and can be used, but updating its language would give less room for Defendants to argue whether they had committed an offence or not. If it had been updated, and Mr. Choudary had been charged and convicted of Treason, the Judge could have sentenced him to life imprisonment, and we would not now be having to release a dangerous person back onto the streets. What are your thoughts? Should the definition be updated?